Home » Prayer » Insight » Do you have an appointment? How important is spending time with God to you? Is it a priority? It’s so easy to rush through the day and not MAKE time to pray. Here are three suggestions to help you develop good prayer habits? Plan to pray. Set an appointment to meet with your heavenly Father. He desires to spend time with you. “Quickie” prayers have their place, but quality time talking and meditating in the Presence of God is like having a satisfying, full-course meal of your favorite foods. Choose the best time (You may even want to consult with Him about your appointment time). 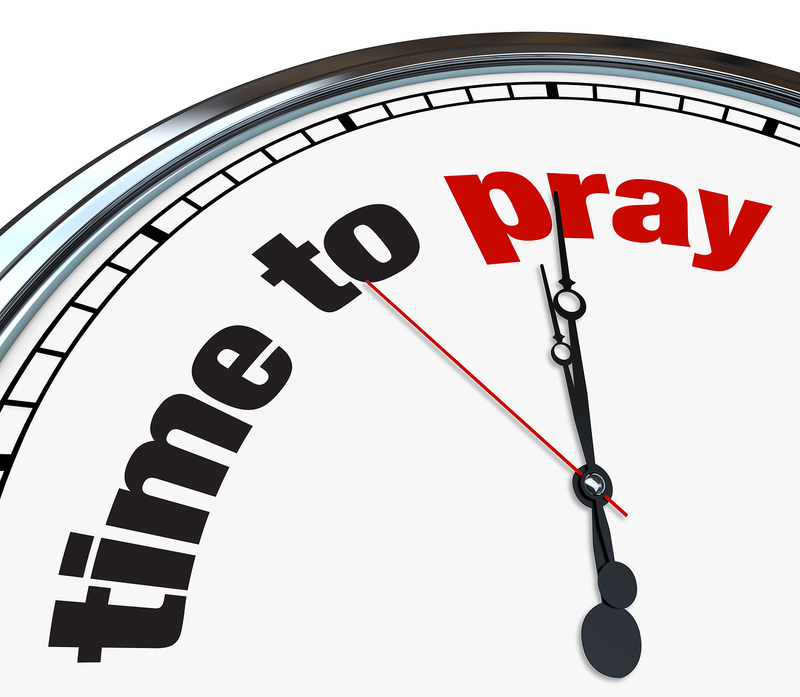 Select a specific time of the day, and commit personal prayer. Personally, I am not a “morning” person, which simply means I don’t like to get up early, especially that I’m retired and don’t have to share freeway space in traffic jams. I’m a night owl! However, you may be just the opposite…an early morning person. So choose the best time for you. Ideally, morning is the best because we have been refreshed after the previous night’s rest. Early morning time is an excellent way to start your day with a fresh outlook, and the Holy Spirit can prepare you to meet the demands of the day. Also, early morning prayer time is an opportunity to present your plans for the day to the Lord. Be consistent. Whatever, time you choose, make a commitment to keep the appointment. Respect the time you’ve set as valuable as if you were going to your doctor appointment or a business meeting. Being consistent helps you to become disciplined. If you’re a Christian, and spending time with God is not your highest priority, your relationship with Him will suffer. I should warn you, if you set an appointment to meet God, He expects you to keep the appointment. Ultimately, be intentional about pursuing God. If you want to grow spiritually, be strong in the Lord, grow in the knowledge of God the Father, and have an intimate relationship with Jesus Christ, spending regular and consistent time with Him, is absolutely essential. By Queen E. Phillips in Insight, Prayer on August 15, 2013 .